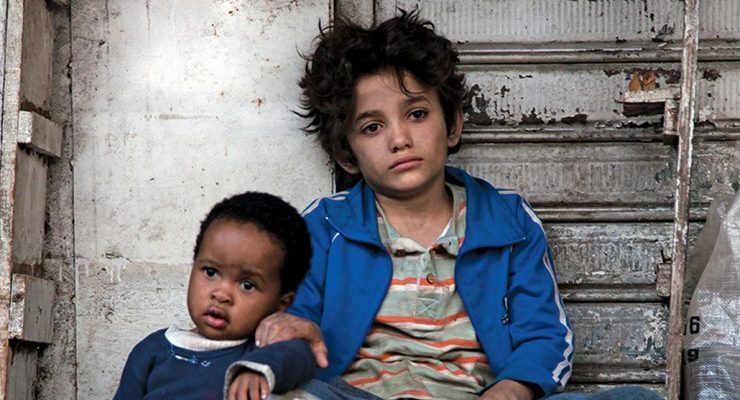 Capernaum - Upstate Films, Ltd.
At once gritty and perceptive, Nadine Labaki’s (Caramel) Academy Award nominated film is a dive into Beirut’s lower depths as viewed through the eyes of an imperiled child. Zain (Zain Al Rafeea) is only 12, but he’s seen enough of this life to resent his very existence. With numerous children to care for, his parents resort to some inventive scams, such as saturating garments with Tramadol, which they pass along to his incarcerated brother who reconstitutes the drug and sells it to fellow prisoners. When his parents resort to selling his 11 year-old sister into marriage, Zain runs away. But life on the streets doesn’t offer many places to hide. Encouraged by a current affairs program that’s drawing attention to child poverty, Zain files a lawsuit against his parents for giving birth to him. The trial provides the frame through which his story unfolds. Revealing a world in which desperation is constant and the innocent appear forsaken, Labaki relays Zain’s story with toughness, empathy, and bold cinematic vision.